There is an old bromide that says, “Write what you know.” I suppose the corollary could be, “Make up what you don’t know.” My latest book, Broken Build, certainly fits both of these concepts. It is a romantic suspense about software engineers in a startup where the build (software code delivery) is always broken. It spices up the pressure cooker, adding a pinch of murder and mayhem with a hearty dose of romance and killer secrets. So how do I know what I know and what I have to make up? Writing is a lot about research and extrapolating. We take what we know and exaggerate them. Pull out the feelings and amplify. How did you feel when your cat went missing? Now, imagine it is your child. Gulp! Same with technical subject matter. I suspect that not a lot of writers have actually handled a Glock. Yet I see that gun described in many thriller stories. You’d think there was a Glock shop down at the Wal-Mart where you can hold it, try it out, maybe shoot a few rounds so you can write about it. How about being hit by a stun-gun or teargas? Should we all sign up for the police academy so we can experience it on our own? Or do we take a painful experience, perhaps the day we peeled out our contact lenses shortly after chopping ghost peppers and exaggerate the pain? A little research is a great thing. But a lot can slow the story down. For example, this book, Continuous Delivery: Reliable Software Releases through Build, Test, and Deployment Automation sounds very interesting to me. I can probably read this book and revel in all of the schemes for ensuring continuous delivery and integration of software. My main character, Jennifer Cruz Jones, would likewise love to brainstorm with me about how she can isolate build faults without interruption. But the average reader may glaze out. Therefore a writer must also hold back on dumping all of the wonderful pieces of research that she discovered into the story. So to add to the bromides, “A little research goes a long way.” It is necessary for the realism of the story and to provide characterization traits. But at the end of the day, we are writing a storybook and not a textbook. So “write what you know,” but don’t be afraid to make up what you don’t. And take the risk that someone technical might say, “that’s not the way it’s done.” Because the majority of readers would not have understood the technical detail. For them, “she hacked into the system,” was enough. 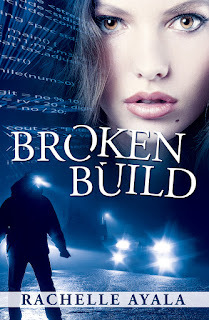 Broken Build (Silicon Valley Romantic Suspense) has just enough technical details to challenge the intelligent reader, but not enough to impinge on the main storyline. 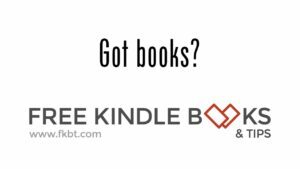 It is not a one-dimensional book for people who want to be spoonfed a story, but one that keeps the reader guessing and on their toes. The added bonus is that readers will learn about server virtualization and building code in the software industry. But the main theme is about love and forgiveness, a topic any of us can relate to. Synopsis: When a woman wrongs a man… can a man forgive and love? Jen Jones hides a horrible secret behind her new degree, toned body, and exciting job at Silicon Valley’s hottest startup—until a man linked to her past is killed in a hit-and-run. CEO and founder Dave Jewell is about to land a huge deal. He doesn't need blood on his car, threatening phone calls, and Jen wrapped in broken code and blackmail. So true! "Write what you know" is more about using your experiences and applying them to the story ... more about emotions than actually what you know. I make up plenty of details. I call it 'artistic license' :-) Great post, Rachelle!